PHARR — Officials have announced charges and released more details about the unintentional shooting at an H-E-B store Wednesday night when a shopper dropped a concealed handgun. Sandra Gonzalez, 22, was shot “in one of her lower extremities” after Daniel Meza, 30, dropped a small purse that was carrying a firearm, according to a news release issued Saturday regarding the ongoing investigation. The purse belonged to 30-year-old Ismeray Rivera who was shopping with Meza at the store when the purse fell to the ground causing the small-caliber pistol to discharge. Officers were called to the scene at 1300 S. Cage Blvd. at approximately 10 p.m.
Investigators determined the two parties did not know each other. 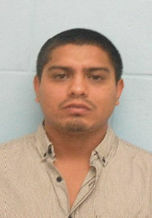 Gonzalez was transported to Rio Grande Regional Hospital for treatment and has since been released. A warrant for Meza’s arrest was issued on charges of unlawfully carrying a weapon while Rivera was arrested and charged with failure to report a felony. Both were charged with endangering a child, though the circumstances surrounding the charge remain unclear. 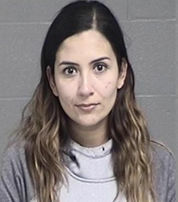 Rivera was issued a $30,000 bond for child endangerment and $5,000 bond for failing to report a felony and was transported to the Hidalgo County jail. This is the second time Meza has faced weapons charges in Hidalgo County. In 2014, he was also charged with unlawfully carrying a weapon, a Class A misdemeanor. The case was later dismissed. Pharr police request that anyone with information call Pharr Crime Stoppers at (956) 787-8477 or (800) 648-8477.